Product categories of Hesco Barrier, we are specialized manufacturers from China, Hesco Barrier, Hot Dipped Hesco Barrier suppliers/factory, wholesale high-quality products of Galvanzied Hesco Barrier R & D and manufacturing, we have the perfect after-sales service and technical support. Look forward to your cooperation! Hesso barrier also know as rock basket retaining wall, Hesco Barrier, flood control barrier, etc. 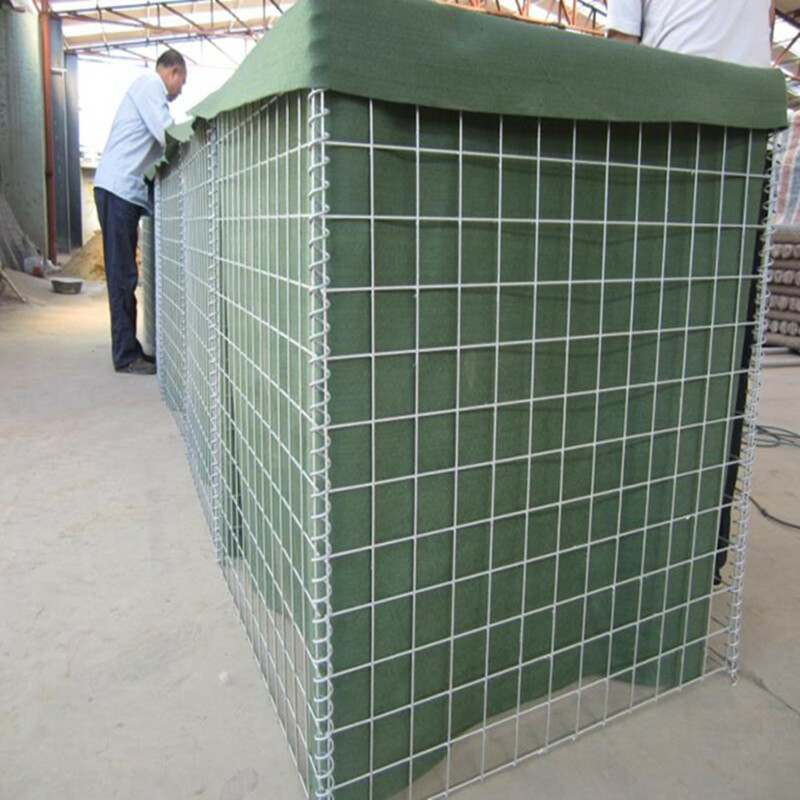 which is made of the steel welded mesh and lined with non-woven geotextile , can be filled with sand, earth, cement, stone, then as a defence wall or bunker and widely used in the military to protect safety . Hesco barrier is a modern gabion primarily used for flood control and military fortifications. It is made of a collapsible wire mesh container and heavy duty fabric liner, and used as a temporary to semi-permanent levee or blast wall against explosions or small-arms.